The Natural Burial Area provides a grave space which will encourage wildlife, native flowers and trees. The existing area in the East Sheen Cemetery is now full, apart from graves which have been reserved or provided at a depth for two. 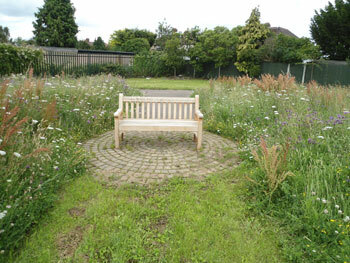 Our new Natural Burial Area is situated in the Twickenham Cemetery at Hospital Bridge Road. This area is situated in the new area towards the back of the cemetery away from the main road. Metal caskets are not permitted. Cremated remains can be buried in wooden caskets, cardboard containers or placed loosely in the grave. No form of individual memorial, flowers or any other items may be placed here. Trees, shrubs, bulbs etc will be selected and planted by the cemetery staff. If you would like to be shown the Natural Burial Area, please contact the Cemeteries Office to make an appointment.